Defining a pandemic is not an easy thing to do. It turns out that there has never really been much consensus about what constitutes a pandemic. The term pandemic has been used almost interchangeably with epidemic since the beginning of its usage. In the midst of responding to last year’s H1N1 influenza outbreak, public health officials found themselves debating if and when they should call it a pandemic. Although there had been about a decade worth of pandemic planning and preparedness going on to get ready for the next pandemic, officials couldn’t agree on what a pandemic actually is when challenged by an outbreak that met some but not all of their criteria. Ironic considering that the term pandemic entered general usage to characterize the explosive spread of influenza. The term was “rescued from near obscurity” during the Russian flu of 1889 and became “virtually a household word” in 1918 (Morens, Folkers, & Fauci, 2009). It was then applied retrospectively to major historical events like bubonic plague and major smallpox outbreaks. Infectiousness: common usage of the term can apply it to non-infectious topics that seem to spread like cigarette smoking, obesity, or suicide. Severity: not an absolute requirement but historically the term has been applied to events with a high mortality rate (bubonic plague, cholera, smallpox). The problem comes, as always, in the details. How severe is severe enough? Does the level of severity needed to call a pandemic vary depending on the agent? How is novelty assessed? Morens, Folker and Fauci note that “usage clearly dictates that when pandemics come and then disappear for long periods, they are still pandemics when they return.” They go so far as to say that “pandemicity can be said to be a characteristic feature of certain repeatedly reemerging diseases, such as cholera and influenza”. This brings up the question of how long can a pandemic last? The first plague pandemic is considered to have lasted about 250 years (541- ca. 750 CE) and there seems little consensus on when to cut off the second plague pandemic (the Black Death). The current cholera pandemic has been going on for decades but the average person doesn’t link cholera outbreaks like the current one in Haiti with an ongoing pandemic. 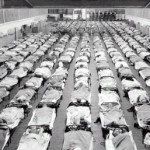 Influenza pandemics only last a couple of years. HIV has been an atypical pandemic for over 20 years. Atypical in that it didn’t spread as a wave that could be relatively easily tracked like influenza or the plague. The longer pandemics like bubonic plague came in waves with quiet periods of a decade or more in between outbreaks. At least a couple of cholera outbreaks occur every year but they are often geographically distant from each other. When you think that the same term is used for a 1-3 year influenza outbreak as a disease that came in distinct waves over 250 years, it is little wonder that the public can get confused. While I agree with Morens, Folkers, and Fauci that the term pandemic should be restricted to infectious disease, now that the term is a household word that even the experts can’t agree on how to apply, I think it will continue to be used to get the public’s attention for anything that is spreading rapidly. Like any term used to get the public’s attention, it will lose its punch the more the term is used making it almost certain that the meaning of pandemic will continue to evolve.